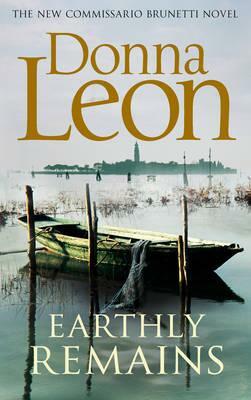 Granted leave from the Questura, Brunetti is shipped off by his wife, Paola, to a villa owned by a wealthy relative on Sant'Erasmo, one of the largest islands in the Venetian laguna. There, he intends to pass his days rowing, and his nights reading Pliny’s Natural History. The recuperative stay goes according to plan and Brunetti is finally able to relax, until Davide Casati, the caretaker of the house, goes missing following a sudden storm. Nobody can find him - not his daughter, not his friends, and not the woman he’d been secretly visiting. Now, Brunetti feels compelled to investigate, to set aside his holiday and discover what happened to the man who had recently become his friend.